Dungeon Diggin' is a series where we scour through old instances looking for unique and interesting looking armor and weapons. For today's Dungeon Diggin' we are heading to The Mechanar. This instance was introduced in The Burning Crusade and is one of the four floating inter-dimensional spaceships (the Exodar was originally one of this group of ships as well) that can be found in the western edge Netherstorm in Outlands. Follow us after the jump where we look at some the best looking items in The Mechanar. 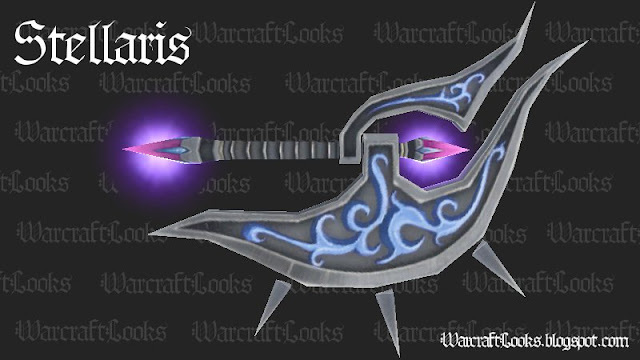 This gorgeous 1-handed (one-hand) axe which drops from Nethermancer Sepethrea has always been one of my favorite axes from The Burning Crusade. It's huge gun metal handle-length blade, floating forward facing spikes, subtle and beautiful baby blue scrolled detailing and its subtle purple glowing gems are astonishing beautiful. 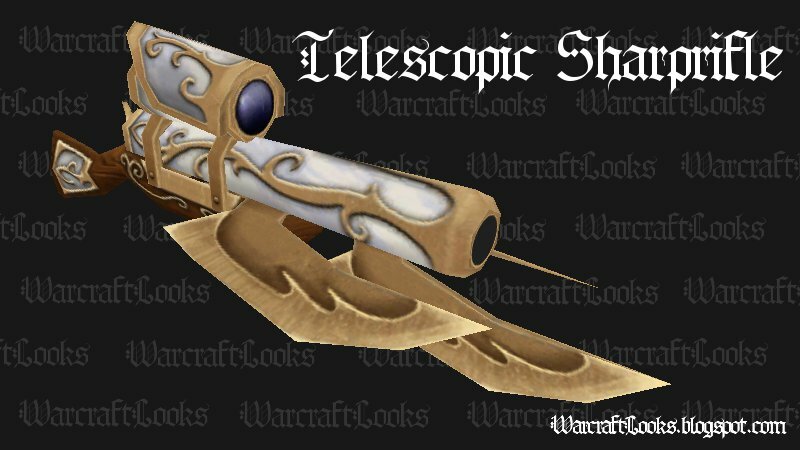 The fact that this item is one-hand (as opposed to main-hand) means that these can be dual wielded which looks...ahem...stellar! This gun drops from Pathaleon the Calculator and includes an interesting combination of refined ivory and bronze detail work with three massive (yet still beautiful) under-barrel bayonet blades. The walnut stock includes it's own ivory and bronze detail plate. It also includes a scope with a cover with ivory and bronze detailing as well. If you are looking for a steampunk style sidearm this is a great choice. This firearm is beauty and the beast wrapped up in one. 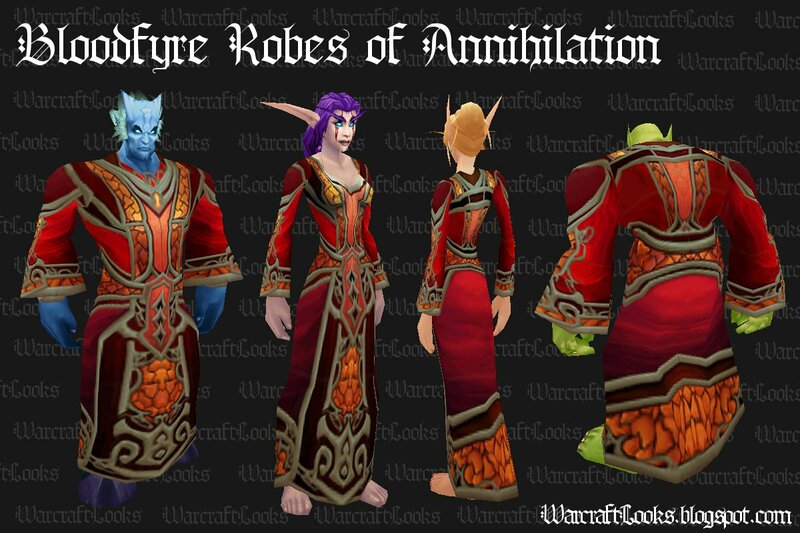 This striking cloth robe is contained inside the Cache of the Legion which is a ship-themed loot chest to the left if the elevator. The rode fades from red to maroon at the hem and includes bronze scrolled detailing with sunburst orange accents which could represent crystal, stone or even magma. The ornate quality and overall beauty of this robe is quite high. It would be a great choice for a mage or warlock. This one-handed (main hand) sword drops from Pathaleon the Calculator (Heroic) and is held by many to be the best looking one-handed sword in the game. I agree with that statement. This absolutely massive rectilinear blade not only has a glows molten orange and red but also has a side-scrolling cracked crystalline pattern (not shown in image above, have to see it in game to appreciate it). The blade has three iron spikes inset into it that indicate that this sword means business. 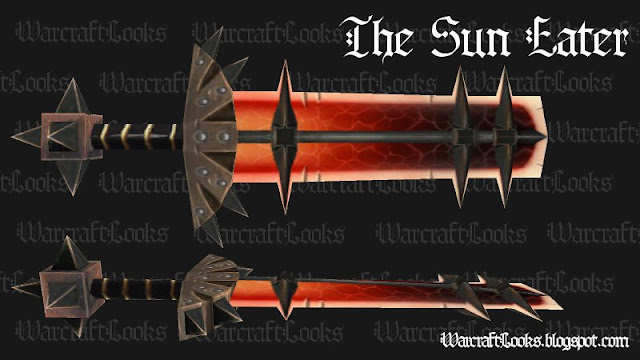 The hilt includes a sunburst motif with plenty of spikes to go around. This blade seethes with hate. Molten hate boils beneath it's surface. If you are looking for something eye-catching that is savage yet surprisingly refined this sword may just be for you. We hope you enjoyed this edition of Dungeon Diggin'. Join us next time when we contune to scour the instances of World of Warcaft for fantastic looking items.